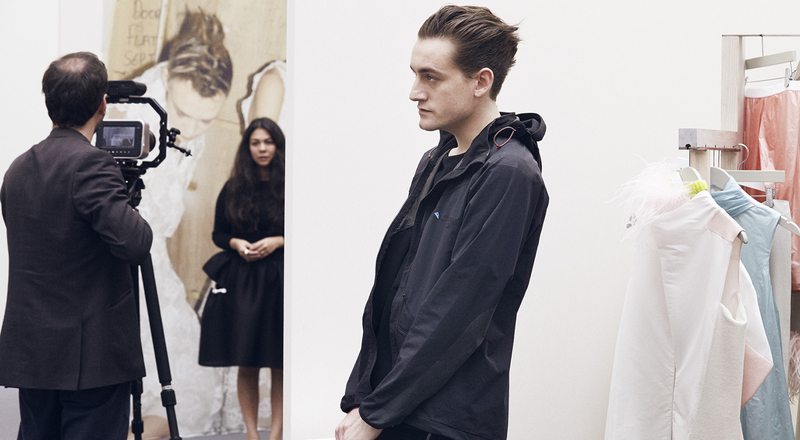 The Prize of the Jury of the First Edition of the LVMH Prize for Young Fashion Designers was awarded to Thomas Tait. The creative duo Miuniki and Hood by Air were distinguished by a Special Prize. The Jury of the LVMH Prize for Young Fashion Designers – Nicolas Ghesquière (Louis Vuitton), Marc Jacobs (Marc Jacobs), Karl Lagerfeld (Fendi), Humberto Leon (Kenzo), Phoebe Philo (Céline), Raf Simons (Dior), Riccardo Tisci (Givenchy) – as well as Delphine Arnault (Executive Vice-President of Louis Vuitton), Jean-Paul Claverie (Advisor to Bernard Arnault ) and Pierre-Yves Roussel (Chairman and Chief Executive Officer of the LVMH Fashion Division), have chosen Thomas Tait as winner of the very first 2014 edition of the Prize. 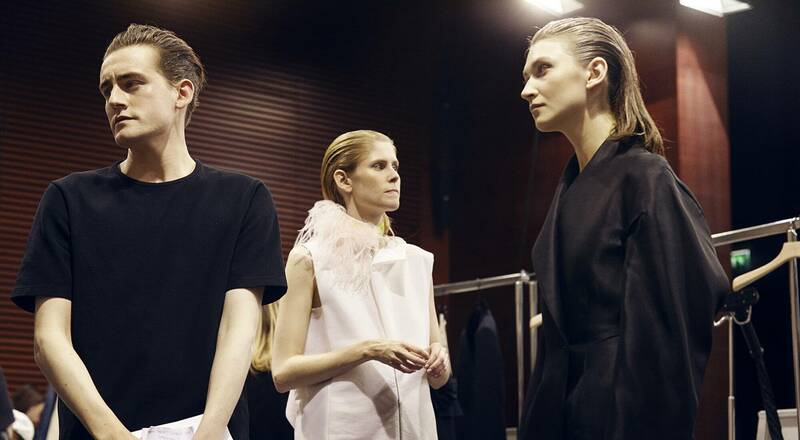 Delphine Arnault said: “The Jury was captivated by the personality and the work of Thomas Tait. He is a great talent. I’m proud LVMH can help him develop his brand. I have no doubt though all the other Prize finalists will have an amazing journey and I wish them luck”. The 300 000 euros grant comes with a one year mentorship with a dedicated team within LVMH to assist the designer’s development. Due to the competition’s extraordinarily high level, the Jury decided to award two special prizes: the first to Miuniku, and the second to Hood by Air. They each win 100 000 euros and a yearlong mentorship. Three fashion design school graduates have also been awarded with a prize: Peter Do (Fashion Institute of Technology, New York), Teruhiro Hasegawa (Central Saint Martins College of Art and Design, London) and Flavien Juan Nunez (La Cambre, Bruxelles and the Institut Français de la Mode, Paris). They each win 10 000 euros and will each be joining a different LVMH fashion house for a one year job contract, Peter Do at Céline, Teruhiro Hasagawa at Givenchy and Flavien Juan Nunez at Christian Dior. The school they graduated from will also receive 10 000 euros to symbolize LVMH’s support to education and establishments that allow fashion to renew itself in order to reach a higher level of excellence. The prize will be renewed in 2015. Thomas Tait is a Canadian designer based in London. After completing his studies at College LaSalle in Montreal, Thomas received his MA from Central Saint Martin’s College of Art and Design in London. His Autumn-Winter 2010 collection was selected to be featured in London Fashion Week. He is the winner of the inaugural Dorchester Collection Fashion Prize in 2010. 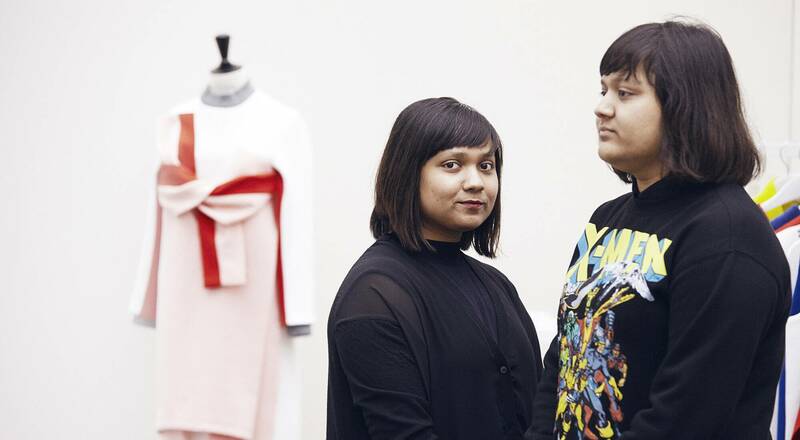 Miuniku is a ready to wear brand for modern women, founded by sisters, Nikita and Tina Sutradhar, at the end of their studies at the London College of Fashion. The brand’s aesthetic is a unique play between color, cut and construction. They have won the London College of Fashion’s Fashion Innovation Award (July 2013), the ISKO(TM) Denim Diffusion Award (July 2013) and were semi-finalists of the H&M Design Awards in 2014. The Sutradhar sisters have two collections to date and are now based in Mumbai. 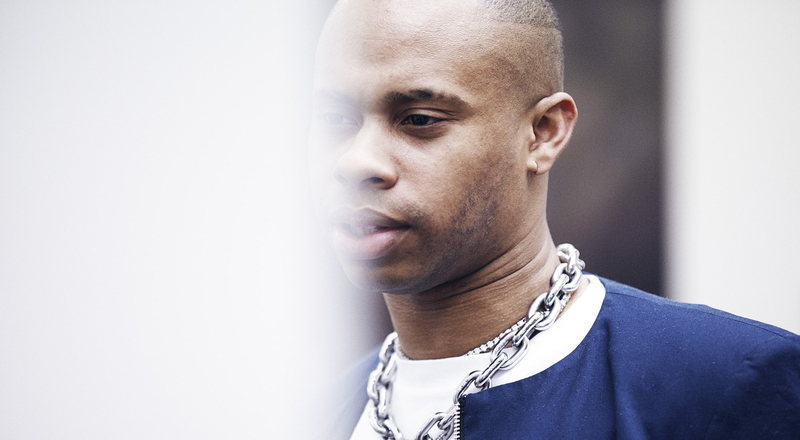 Hood by Air, founded by Shayne Oliver in 2007, is a concept that challenges traditional modes of categorization. By combining the fluidity of youth culture with the refinement of luxury fashion, Hood by Air is re-imagining Americana uniforms. Flavien Juan Nunez is a 23 year old graduate from France. After having completed his bachelor at La Cambre, in Brussels, Flavien went on to do a post-graduate degree at the Institut Francais de la Mode in Paris. His internship experience counts Walter Lecompte, Louis Vuitton and Nina Ricci amongst others. He joins the creative studio of Christian Dior. Peter Do is a 23 year old graduate from the United States and holds a BFA in fashion design from the Fashion Institute of Technology. He is the 2012 Critic Award winner for the AAS Exhibition at FIT, the 2013 winner of the CFDA Scholarship and the 2014 Critic Award winner for the Senior Thesis Collection at FIT. He has interned at Chris Gelinas and Calvin Klein. He joins the creative studio of Céline. Teruhiro Hasegawa is 29 years old. He was born in Japan. He holds both a BA and an MA from Central Saint Martins College of Art and Design. He is the 2013 winner of the Jane Rapley scholarship and the Chloe Award and has interned at Jean Pierre Braganza, Alexander McQueen and Lanvin. He joins the creative studio of Givenchy.